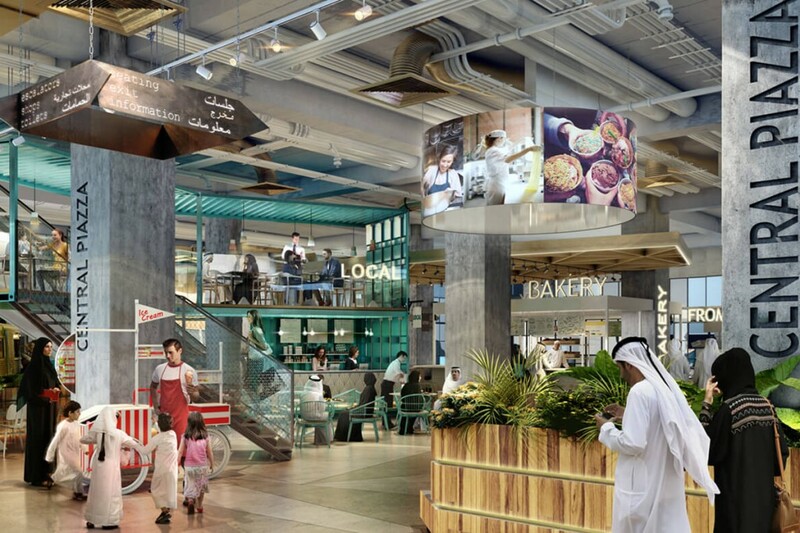 into lighting have been engaged as lighting consultants to develop the lighting concept for the food and beverage offering within this new extension to a UAE retail mall. Interior design consultancy Design LSM are appointed to conceive the strategical positioning and interior design concept. 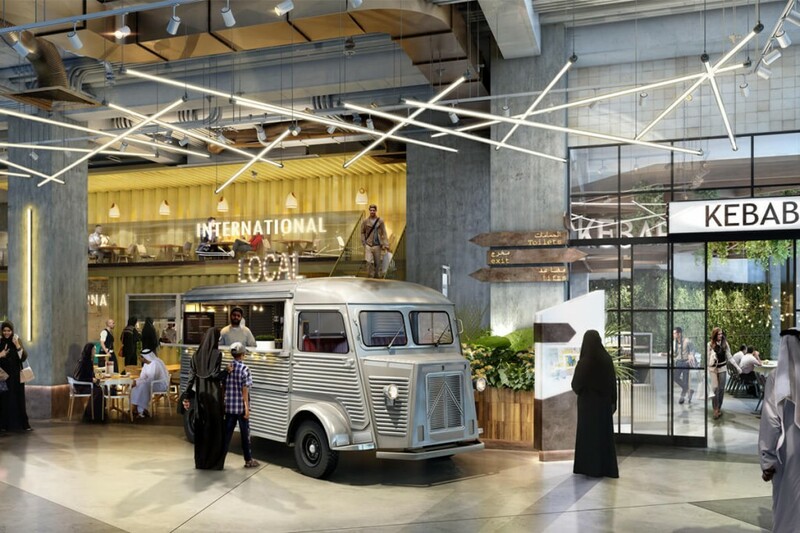 The design brief is to create a world-leading, future thinking ‘destination’ food hall that harmoniously integrates leisure, retail and food and creates one new community. 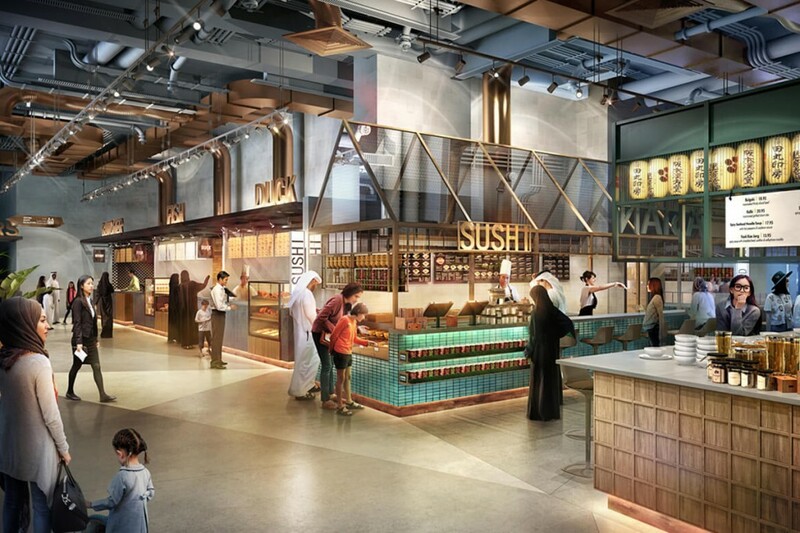 It is paramount that this concept delivers a unique experience to the F&B UAE landscape – creating an environment that exuded food theatre, tactile interactions, culinary ethnicity and social affiliation.